Today I have the honor of interviewing author Lisa Lim. I read and reviewed her chick lit novel "Confessions of a Call Center Gal" a short time ago and loved it. I'm so excited to have her on my blog. So here's my interview with Lisa Lim. KBB: First of all, Lisa, tell us something about you? Lisa: I’m a chick lit junkie and I’m a huge fan of Sophie Kinsella, Marian Keyes and Emily Giffin. To me, chick lit is like junk food for my brain (and I LOVE junk food). I do read serious fiction and heavy lit, but gritty realism gets me down and I hate ambiguous endings. Sometimes I don’t want to think deep thoughts; sometimes I just want a good laugh. On a more personal note, after I graduated with my journalism degree, I served as Copy Editor at Desktop Journal. Then I went on to do technical writing for a software company. When I wanted to settle down and start a family, I started working at a call center. But I’m happy to say that I’m now a full time writer and an ex-call center gal. KBB: When did you realize that you wanted to be a writer? Lisa: At the age of five, I wanted to be a Disney princess; when I was six I wanted to be a pirate captain and commandeer my own ship. I only started writing stories when I was eight, so I’d say I was about eight years old when I just knew I wanted to be a writer. 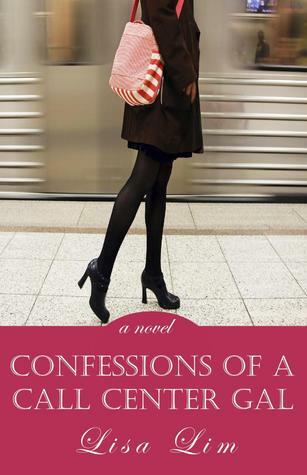 KBB: “Confessions of a Call Center Gal” is your debut novel. What inspired you to write it? Lisa: I know this sounds clichéd, but my English teacher in college prefaced every writing assignment with this advice ~ Write what you know. And I know too much about call centers. One only need to hear the word "call center" and everyone’s blood pressure skyrockets through the roof. Callers go ballistic and become verbally abusive over the phone, and often feel entitled to unload their personal demons on us. Trust me . . . I've seen many of my co-workers on the verge of tears. And I wanted to tell our story. Plus, I've read countless of chick lit novels where the women all have fancy jobs, and they fancy men who hold fancy jobs. And I wanted to read about a woman I could relate to. A protagonist who is regular chick with a very ordinary job, who falls for a guy with an ordinary job. Although, the guy is anything but ordinary (I like to think). KBB: Let’s talk something about your book “Confessions of a Call Center Gal.” Do you find something of yourself in the lead character Madison Lee? Lisa: I’d say 50% of Maddy (the lead protagonist) is me and 100% of the book is based on real experiences as a call center gal. And you bet-cha I have a tight knit circle of friends like Kars, Truong and Inge; otherwise I wouldn’t have survived as long as I did in the call center purgatory. KBB: I loved all the characters in your book. What was your favorite character from the book? Lisa: Truong Nguyen ~ Maddy's fabulously gay Vietnamese BFF. He’s essentially the lead protagonist’s evil twin. Always dapper and debonair, Truong exudes a sort of Parisian air. And I admire his confidence, his wit, his candor and his filthy sense of humor. Plus, Truong’s family owns a Japanese restaurant and I lurrrve sushi rolls, especially California rolls. KBB: So, we know that your novel hero “Mika” resembles Zac Efron. Did you think of any other male actor besides Zac Efron? Lisa: Henry Cavill (from The Tudors) and Zachary Levi (from Chuck). KBB: Truong and Karsynn were the two most hilarious characters in the book? What would you like to say about them? How did you come up with the two characters? Lisa: They’re actually based on my actual friends in real life. Sometimes the truth is crazier than fiction. Oh yes, Truong seems to have legions of fans and I think it’s because he’s candid, he’s not afraid to speak his mind and he keeps it real. Karsynn is far from perfect, but she learns from her mistakes, and that’s what makes her relatable. KBB: Did you find it difficult to handle the characters from so different cultural backgrounds? Lisa: No, because I’m surrounded by people from different cultures on a daily basis. I’m a Chinese Malaysian gal; I grew up in Malaysia and I came to the States when I was seventeen to further my education. And I’ve always had friends from different countries—Bosnia, Pakistan, Philippines, Belgium, Indonesia . . . I just love learning about different cultures—the language, the food and . . . well mostly the food! I love sushi and I love curry! KBB: What authors have inspired you the most? Lisa: Sophie Kinsella; she wrote the Shopaholic series. Becky Bloomwood (the lead protagonist) is so much fun and so relatable. She’s far from flawless, but she’s a sweet gal who genuinely cares for her friends and family. And I admire her innate ability to bounce back after crisis after crisis. After crisis. KBB: What are your hobbies besides reading? Lisa: I know this sounds dull, but I enjoy tending to my garden. I find it immensely calming and relaxing. KBB: What’s your favorite reading spot? Lisa: Outside, on my deck, on my plush and tattered sofa. KBB: Lastly, I love book recommendations. What three books would you strongly recommend me to read, chick lit or other? Favorite Food: Sushi, curry, burritos and fried rice. And Now Time for Giveaway! 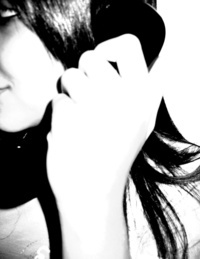 Author Lisa Lim is generously giving away 3 ebook copies of "Confessions of a Call Center Gal." This is an international giveaway. Fill out the form to below to enter. You can check out my review of the book. The giveaway closes on Oct 10th, 2011. The winners will be chosen through Random.org.